The Federal Aviation Administration said that it is lifting its ban on US flights to Ben-Gurion International Airport in Tel Aviv, after flights to Israel stopped on Tuesday following a missile explosion close to the airport. The FAA has cancelled a Notice to Airmen that was renewed earlier today. Leading up to the decision, Aviation was working together with the government to properly assess the security situation in the country so as to mitigate any potential risks that might be posed to civil aviation. The initial decision to ban flights was taken following a warning from the FAA after a rocket fell on the city of Yehud, located just five kilometers from the airport, Haaretz reported. British Airways, however, said on Wednesday that it has not canceled any of its twice-a-day Tel Aviv flights, and has no immediate plans to do so. A spokesman stressed that British Airways would not fly to Israel if the airline thought it was unsafe, adding that ‘‘each airline draws its own conclusion’’ on safety. Yates said other airlines might have canceled flights due to the possibility that rockets could strike their plane on approach or take off. He added, however, that Israel’s Iron Dome defense system makes that very unlikely. Some airlines were forced to turn back planes on Tuesday. A Delta Boeing 747 from New York was flying over the Mediterranean Sea heading for Tel Aviv when it turned around and flew to Paris instead. Flight 468 had 273 passengers and 17 crew on board. Russian airline Transaero also decided to turn back a flight bound for Tel Aviv. Flight number 311 was en route to the Israeli city but instead headed back to Moscow. 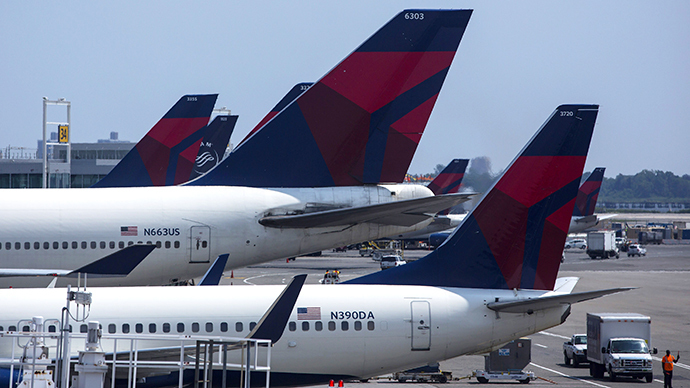 A spokesman for the company said that Wednesday’s flights to Israel had also been canceled. Airlines and passengers have been growing more anxious about safety since last week, when a Malaysia Airlines jet crashed in Ukraine, killing all 298 people on board. Clashes between Israel and Palestine entered their third week on Tuesday, and the death toll continues to increase. Reuters says the number of Palestinians killed has risen to more than 650.